OVER 100 NEW PREMIUM RV SITES! 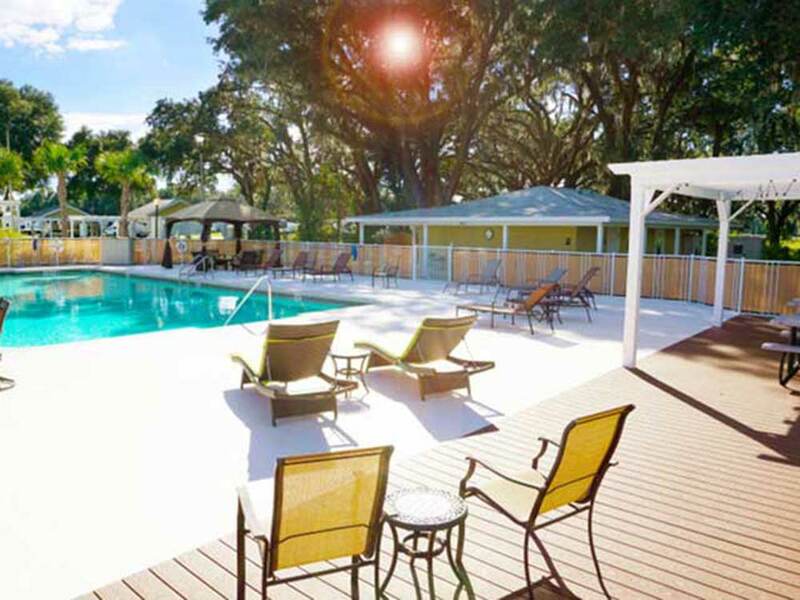 Paradise Oaks is a family owned and operated pet-friendly RV resort w/ first-class accommodations: heated pool/spa, at site WiFi, best in class bathrooms, large rec hall w/kitchen, friendly staff and winter activities galore! Arrived on a Sunday, with office closed. Class A spots at the front of the campground had WiFi, but I had no way of finding the password. Other campers I asked indicated that the WiFi was a "joke." (Later obtained password from a staffer who lives in park.). No cable connections, and off-the-air reception was poor. Physical facilities were ok, but difficulties with WiFi and TV make this park a "Not recommended." My wife and myself have been coming to Paradise Oaks for four years next season and we love the place it is so clean and the people are friendly and it takes about 30 to 45 min to get to west coast and 1hr or so to get to the east coast, I love the area because there is little traffic to deal with they have a Walmart in town and a Homeland down the street the park is well maintained and will be adding new sites this summer and the park is pet friendly . Home away from home and we look forward to being there each and every year. Very clean and well kept facility with lots of amenities. The people here are friendly and helpful. We happened upon Paradise Oaks a few years back when looking for somewhere to leave our RV during the summer. This was the first place we tried and the last place we looked. Planning to stay a weekend, turned into parking the RV for 3 months, and have visited each summer since. Every weekend we looked forward to relaxing and unwinding at Paradise Oaks. Such a friendly atmosphere with amazing staff and residents. The pool area, restrooms and grounds are meticulously maintained and very well designed. The park has many offerings and well planned RV sites. Being a Floridian, we do most of our RVing in the summer when most parks are less inviting and/or exciting, this is not so for Paradise Oaks. We look forward to our next trip (hopefully a few nights in the winter) and seeing our friends that we are so blessed to have met. If you find yourself looking for a park in the Bushnell or surrounding area, don't waste your time looking any farther than here.